Please be sure you are ready for a puppy before putting down a deposit. Puppies require a lot of care and patience while they are growing up. Be prepare to deal with jumping, nipping, chewing, etc. as all puppies go threw this puppy stage in life. Also expect a lot of kisses, cuddling and many laughs as you watch your puppy grow. With time, patience and training you will have a "best friend" for many years! There is a $36.00 Paypal fee also. NEW PROCESS for reserving a puppy. We are trying something new with the waiting list. While we save puppies for people and then they change their minds once the puppies are born. Other people are turned away. It’s not far for the puppies or the new owners. So we will now start this new process of reserving puppies..
Once the puppies are born, we will be taking a non refundable deposit to hold you’re picking order of $300.00. Before the puppies leave, we will need the rest of the payment paid in cash before they leave. Hoping this will help, so we won’t have to turn away anyone. We will start letting people choose there puppy after they turn 6 weeks old. Then you can come back and pick up the puppy at 8 weeks of age. I do not let them go before 8 weeks. Puppies need this time with there parents to learn as much as possible. I list current litter as they arrive and make notes on the reserve list so everyone knows where they are on the list. I'll call and make the appointments when its time. I want a perfect fit for everyone and especially for every one of my puppies. I will send out a contract to each person that send me a deposit for the to sign and return on the day of pick up. On this day you will need to bring the remaining amount of cash to leave with your puppy. We only take cash on the day of pick up. NO checks or money orders on the day of pick up. I'm sure you all understand. I will have a folder of information for you and your family with a puppy pack for each puppy when they leave. 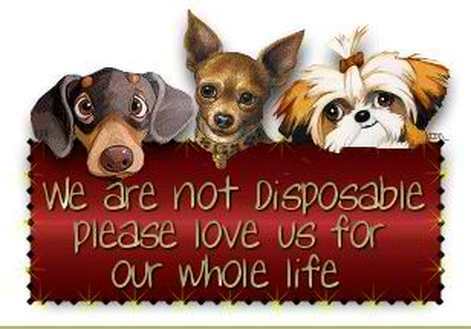 I look forward to making everyone happy and finding a wonderful, lasting homes for everyone of my dogs.